2 Responses to "daily photo: church doors"
Very nice. I would have thought it was French. Would make a lovely brocade pattern. It is nice isn’t it? 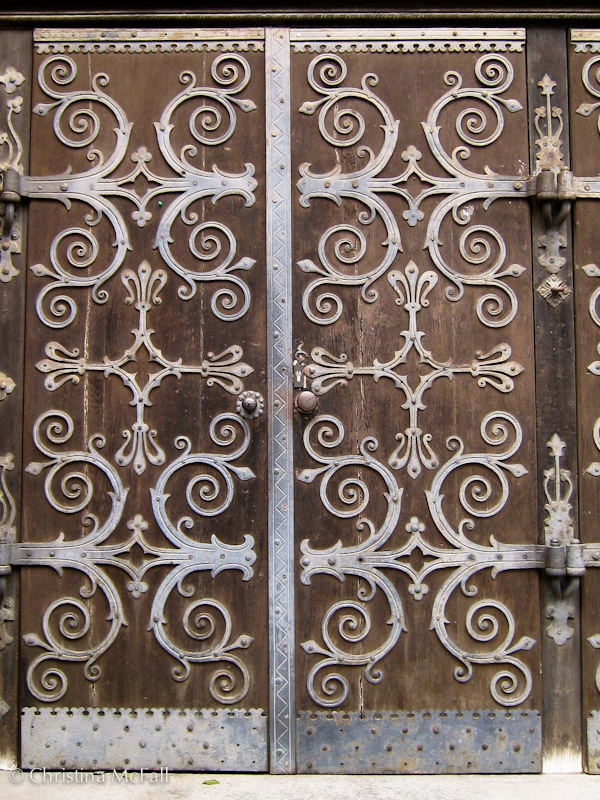 And functional too – since the metalwork is actually part of the hinges/door support. Can’t get that at home depot!